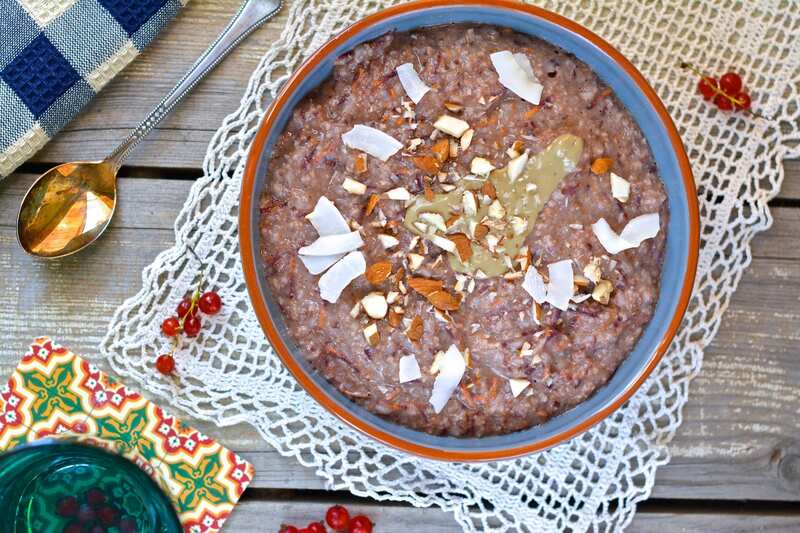 If you read my previous post about Oat Bran-Buckwheat Carrot Cake Porridge then you know that I’m currently on Candida Diet, i.e. I’m starving my candida until it’s dead. In a nutshell being on the first stage of Candida Diet means that you can’t have anything sweet (syrups, honey, sugars, fruits, dried fruits), starchy (starchy veggies, legumes and peanuts) or glutinous (grains that contain gluten + rice and oats) and need to avoid caffeine, vinegar and any other food additives, e.g. citric acid. And of course mushrooms! The only sweeteners that are allowed are stevia and xylitol. Given that the only allowed “grains” are buckwheat, quinoa, millet, oat bran and amaranth, I needed to start from there to create a Candida fighting pancake recipe for Sunday mornings. I decided to go for oat bran and buckwheat since I loved that combination in my carrot cake porridge. Now, picking the grains was easy part! I usually liked to add banana and/or applesauce for thickness, binding and sweetness, but as for the above list these foods are forbidden I was left with flax seeds to do the binding and thickening. As for buckwheat, I didn’t use flour but soaked groats and blended all ingredients into homogeneous batter. 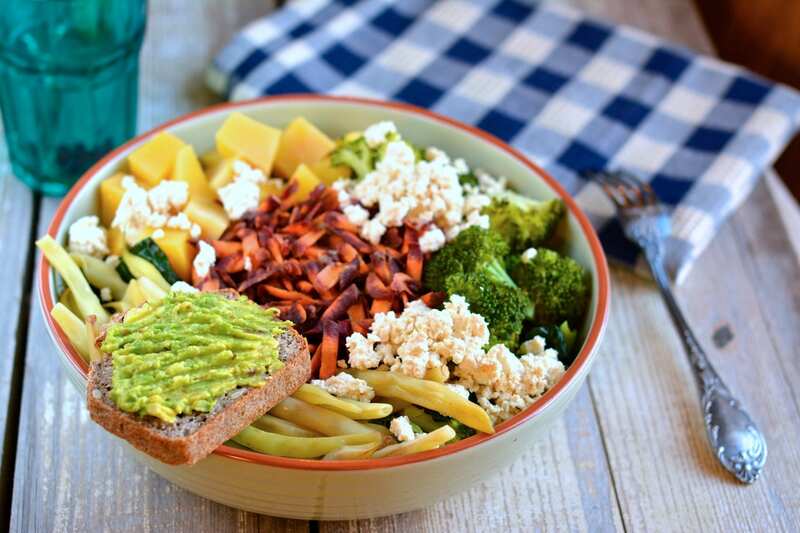 For heartiness I used some good fats, such as avocado, coconut and sunflower seeds and for sweetness a combination of stevia drops and xylitol. To be honest I can’t get used to adding xylitol to sweeten my food because it really looks like sugar and the idea of eating it is just so weird – I need to repeat myself that it’s not normal sugar 🙂 Before the Candida diet I always used “real” ingredients to make my food sweeter, i.e. fruits, dried fruits and oat milk that is naturally sweet, not some kind of granules or drops, but here I am now! The outcome was just as I hoped for – so soft and mouth-watering that my 6-year-old asked me how come I make so delicious pancakes 🙂 And they were tasty indeed! My kid enjoyed the Candida fighting oat bran-buckwheat pancakes with homemade unsweetened applesauce and a bit of honey while I was having them plain with strong peppermint tea and soy milk. 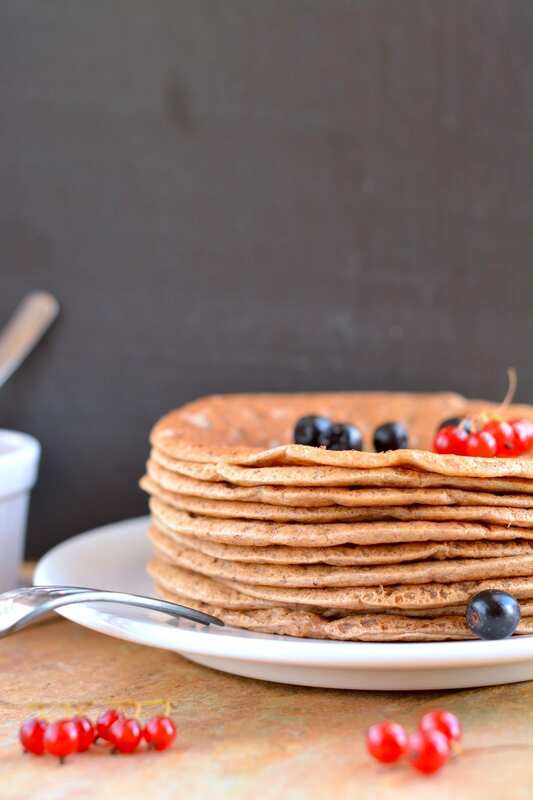 Besides being a Candida fighting recipe, those pancakes suit perfectly for people who are gluten-free, refined sugar-free, vegan, plant-based and oil-free. Soak buckwheat overnight. Then drain and rinse carefully. Put all ingredients into blender and process until homogeneous batter forms. Take non-stick pan and heat it up. Take a ladleful of batter and pour onto pan. Even out with spoon. Fry both sides until golden. Use any sweetener you like, if you are not on Candida diet. 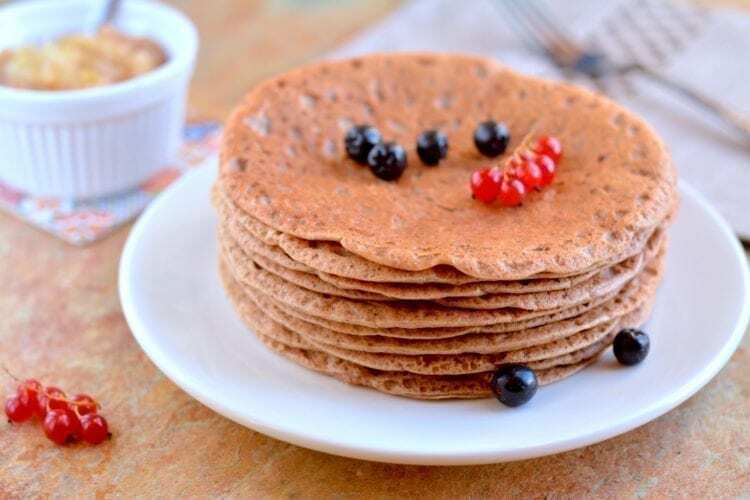 The pancakes should be sweet enough if you substitute all water and soy milk with oat or rice milks that are naturally sweet. Again, if you’re not on Candida diet, have them with applesauce, fresh berries and fruits or make raw jam with fresh or frozen fruits and/or berries. I can’t put too much stevia as I don’t like the after-taste. In this pancake batter I used the combination of 4 stevia drops and 3 tsps. of xylitol.